Social inclusion is the process of improving the terms on which individuals and groups take part in society—improving the ability, opportunity, and dignity of those disadvantaged on the basis of their identity. Inclusion is a term used by people with disabilities and other disability rights advocates for the idea that all people should take action to freely accommodate people with a physical, mental, cognitive, and or developmental disability. What is the definition of disadvantaged? For the purpose of this manual the term “disadvantaged” is defined on the basis of people’s identities thus also includes refugees, immigrants, ethnic and social minorities. The extent to which more inclusive educational practices are promoted at country level will depend on the development of a clear understanding of the concept of ‘inclusive education for all’ in the cultural contexts in which it is developed. Get familiar with UNESCO’s Salamanca Statement, which claims, that all participating representatives should provide equal access to education for all children. This statement was signed by 92 governments and 25 international oganisations that met in 1994 in Salamanca, Spain, for the World Conference on Special Need Education. 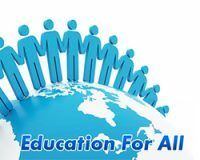 Education For All (abbreviated EFA) is a UNESCO initiative. „The underlying principles of EFA and inclusive education are about addressing ‘all’, but they have differed in the way they have approached these concerns. 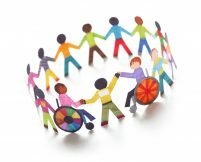 In inclusive education there is a tension between the needs of disabled individuals on the one hand and the notions of equality and social inclusion on the other. In EFA there has been insufficient scrutiny of the two central concepts of “education” and “all”. This paper examines the International Education ofr All (EFA) programme in detail. Go to the publication here. The paper begins with an exploration of the history of the international Education for All (EFA) programme and its tendency to overlook some marginalised groups of children, in particular those seen as having ‘special educational needs’ or impairments and disabilities. The exclusion from‘mainstream’ education programmes of the estimated, though unreliable,figures of 90 or 98 percent of children in southern countries has, until relatively recently, been largely unchallenged. The explanation lies in the still prevalent view that some children are ‘ineducable’ and that overcrowded and under-resourced schools would not be able to cope. 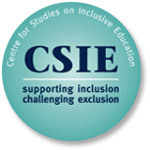 Consequently, a largely parallel, international debate has developed about ‘inclusive education’, within which many conflicting positions exist. We suggest that there is an unhelpful and wasteful polarisation between EFA and inclusive education. Although inclusive education is defined by some writers in terms of overcoming barriers to learning and development for all children, in the context of Southern countries it tends to fill the gap left by EFA and so focuses almost exclusively on disabled children. This paper challenges some of the rhetoric, but also highlights the opportunities created by the current international interest in, and apparent commitment to, delivering quality education for all children. The paper concludes by offering a re-conceptualisation of the relationship between EFA and inclusive education, argues for greater collaboration and synergy between these currently parallel initiatives, and suggests ways in which practitioners and policy makers can develop more sustainable, and context-appropriate, policies and practices. Susie Miles & Nidhi Singal, Febr 2010, Int. Journal of Incl. Edu. 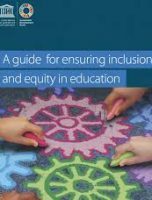 The UNESCO, UN’s Educational, Scientific and Cultural Organisation has issued “A guide for ensuring inclusion and equity in education” in 2017, which is a series of programs trying to better the current situation with the help of all member countries by 2030. However, it is important to stress the need for skill in orchestrating this type of classroom practice. When group approaches are poorly managed, there is usually a considerable waste of time and, possibly, increased disruption.